2009. Recherche. Group Juried and Catalogue. Stony Brook University. Long Island, NY. 2008. Midstream: New Ceramics. Juror Peter Held. Arizona State University Art Museum. Tempe, AZ. 2008. Secular Proportions. Zoller Gallery. University Park, PA.
8 minutes 11 seconds, 2007. Documentation video. For some reason, the sound went out on the video at this point and the still camera would not let me take photographs. In my opinion, this resulting silent documentation, highlights our trying to communicate as we fix those problems and thus speaks volumes about the collaborative process. 5 minutes, 2 seconds, 2007. 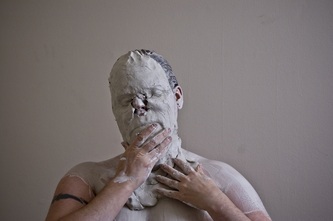 Painting her face with clay. 2 minutes, 23 seconds, 2007. 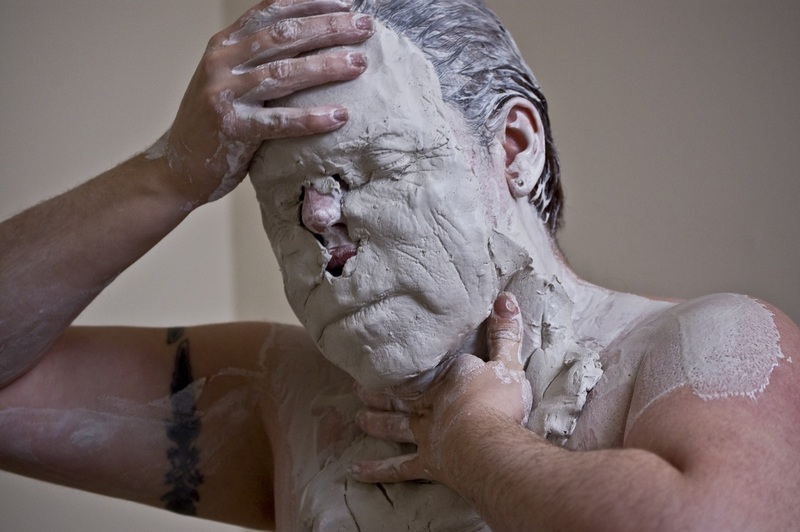 Clay face. 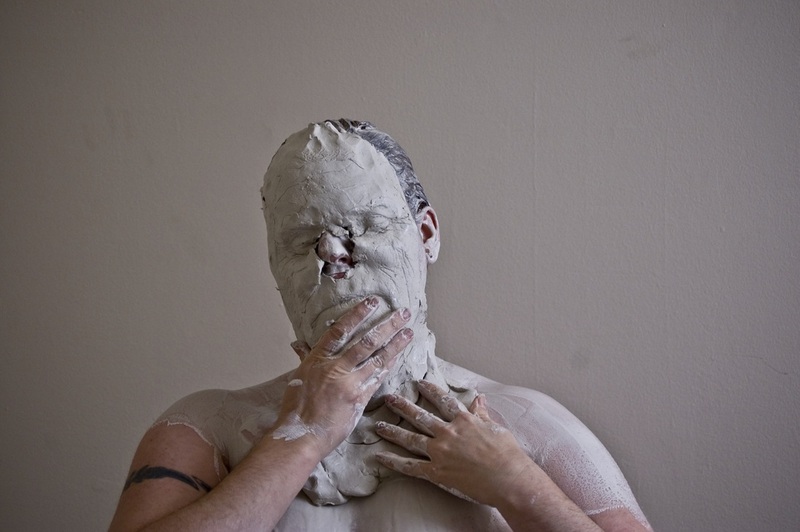 "I employ raw clay masks and 'prosthetics' as a means for altering my body. 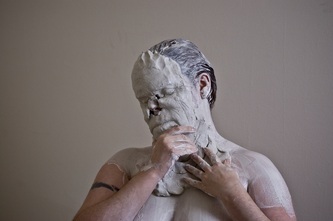 The plasticity of clay allows me to shift shape by sculpting and re-sculpting new limbs and epidermal layers. It enables me to penetrate the boundaries of my skin..."
During the time period in which we were discussing our possible collaboration, I remember lots of conversations about the animal, gender, masks, monsters, etc. I believe the resulting work is compelling. Teri has since taken it to new and even more interesting places. I am honored to have been a part of this work with her.